Medfield Animal Shelter News: New dogs! We are once again working with the Massachusetts Animal Coalition's PILOT program to take in a few dogs that were picked up as strays and never claimed. 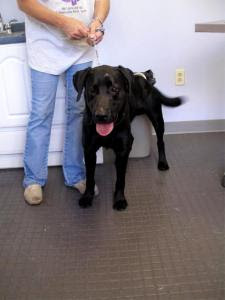 Tomorrow Boomer, a young Lab found as a stray in Everett, is coming to the shelter. On Friday we will be getting a Jack Russell mix from Brockton. We will post more information about the dogs once they arrive, but wanted to post Boomer's photo right away.